What would a hypothetical person know after diligently reading the newspaper, watching television news and reading online news sources for the past week? That person would know that someone named Trayvon Martin had been murdered and that he looked like or could have been or would look like the son of the president. This anonymous man or woman would know that Al Sharpton, Jay-Z, and Beyonce were sad that Trayvon was dead. The news follower wouldn’t know the ugly truth of why Trayvon was killed, the real reason his murderer went free, or that the man most able to bring justice probably would not. The anonymous viewer/reader would know that a rich woman in London gave birth to a baby boy. He or she wouldn’t know that the rich woman and her husband and baby had their immense wealth as a result of great theft which took place over many centuries and which continues at the expense of millions of people. Despite the enormous amount of coverage, the news consumer wouldn’t know how many people were really interested in the rich family at all. The concerned citizen would know that the city of Detroit, Michigan was declared bankrupt. They would know that the city’s art collection might be sold off, but not that pension obligations had already been subverted and workers and retirees who ought to live a decent life were instead on the road to being impoverished. The imagined news junkie would see images of dilapidated buildings and empty neighborhoods but would not be told that capitalism itself had destroyed a once thriving city which provided high wages to generations of workers. This person who made efforts to be informed would know that America was in the midst of a searing heat wave. Some of the news stories would point out that 2012 was the hottest year on record for the continental United States because of something called climate change. They may or may not have been told that climate change resulted from increased production of fossil fuels and high levels of CO2 in the atmosphere. They would not know that the world’s second worst culprit of CO2 production was the United States of America. Jane or John Q. Public would learn that a man named Ray Kelly was commissioner of the New York Police Department and the president found him “well qualified” to be nominated as Secretary of Homeland Security. They would not know that the president, putatively black, was singing the praises of a man who orchestrated the criminalization of nearly every black person in New York City through the infamous stop and frisk policy. Our person on the street might hear about a man named Edward Snowden who, according to the corporate media, made an odd decision by requesting permission to live in the Russian Federation. They would not be told that Snowden wanted to live in some twenty other nations but was prevented from doing so because the president actively obstructed his right to seek asylum from American persecution. We live in age when it is all but impossible to escape media influence. 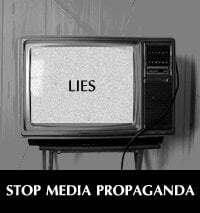 As with all things, the quality of that media varies greatly from one outlet to another, but the corporate media is most ubiquitous while also being the least informative. Even watershed events such as the verdict which freed Trayvon Martin’s killer are eventually treated with the same degree of triviality as every other news story created in a corporate corner office. When Jay-Z and Beyonce show up at a rally, a movement has bitten the dust. Those people who make sincere efforts to be well informed are ultimately unable to do so. How else can one explain that millions of people moved from openly demanding justice for Trayvon Martin to being mollified by the president’s chicanery and worthless sentimentality? Readers of the Black Agenda Report are in no danger of turning into mindless sycophants of a president, or followers of celebrity births, but the points of view presented here are not always easily found. Lies and nonsense are the standard fare for the most read and watched news sources in this country. Ignorance may not be bliss, but it is the preferred state of affairs for politicians, CEOs and their friends at the television networks and editorial boards of leading newspapers. These sources are decidedly unreliable.